You could take one look at a bell sleeve and be whisked back to the seventies. But that’s history and we’re more interested in how you’ll style the trend now. White’s a favourite for this style, to be worn as a crop with shorts, a tunic over skinnies or a blouse with a skirt. Finish a skater dress with ankle boots or let the wide sleeves provide a natural balance for rompers. 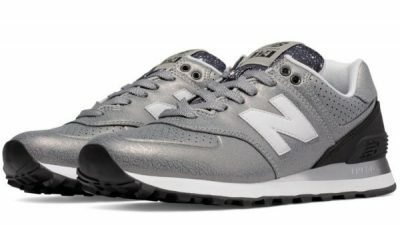 Brighten up your outfit with a bold print in florals or paisley; alternatively add emphasis with lace-up sides or front. Choose evening wear with cut-out shoulders and chunky jewellery to highlight the flared sleeves. Graduate to a thin knit for autumn or play the medieval maiden in a maxi – we can’t wait to see your ideas for bell sleeves trending on the street! The Featured Picture: Janni Deler shows how great bell sleeves look in this white shirt paired with denim shorts! 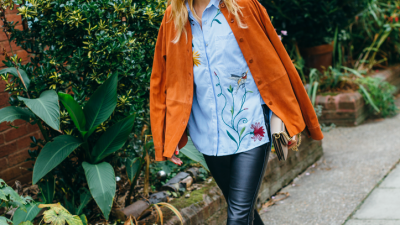 Bell sleeved blouses are both incredibly elegant and adaptable; Jess Ann Kirby pairs this piece with jeans, but it could also be worn with a mini or maxi skirt, depending on occasion. 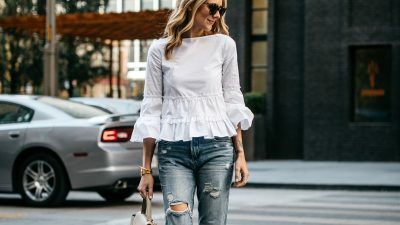 There are few trends more feminine than bell sleeves. By wearing light pastel colours on a bell sleeved playsuit, Silvia Garcia has created a gorgeously feminine style which is perfect for beach or bar! Try this look with sandals for that effortless summery vibe. Bell sleeved dresses are the ultimate summer trend, and when paired with heels they will make for a super feminine seasonal look! 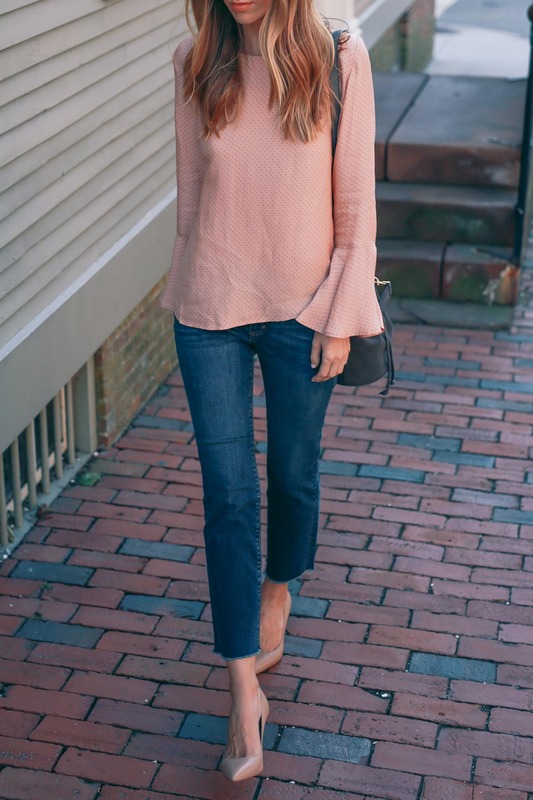 Blair Eadie wears the trend in a gorgeous shade of blush pink, creating a pastel aesthetic we love! 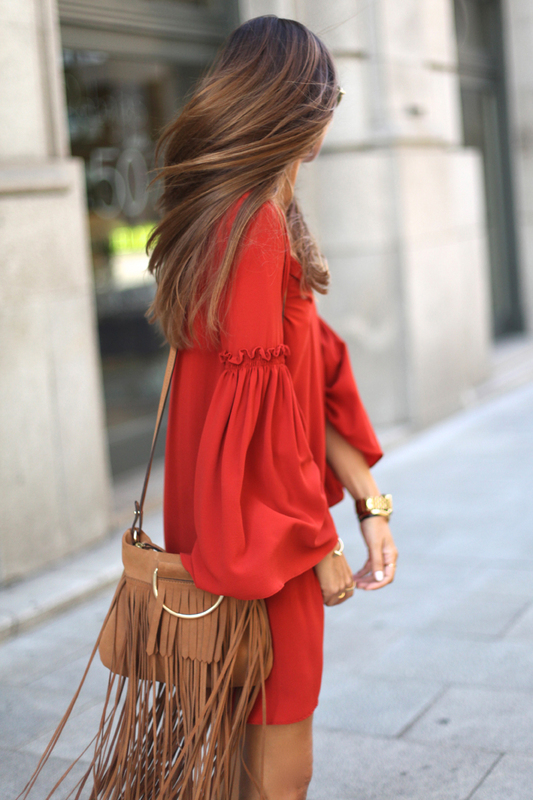 Dress: Keepsake, Flats: Chanel, Heels: Old, Bag: Mansur Gavriel. This statement bell-sleeved blouse looks simple and elegant worn with a pair of rolled up denim jeans. 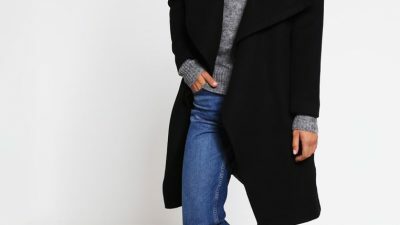 We recommend this look for smart casual everyday wear! Via Hailey and Paige. 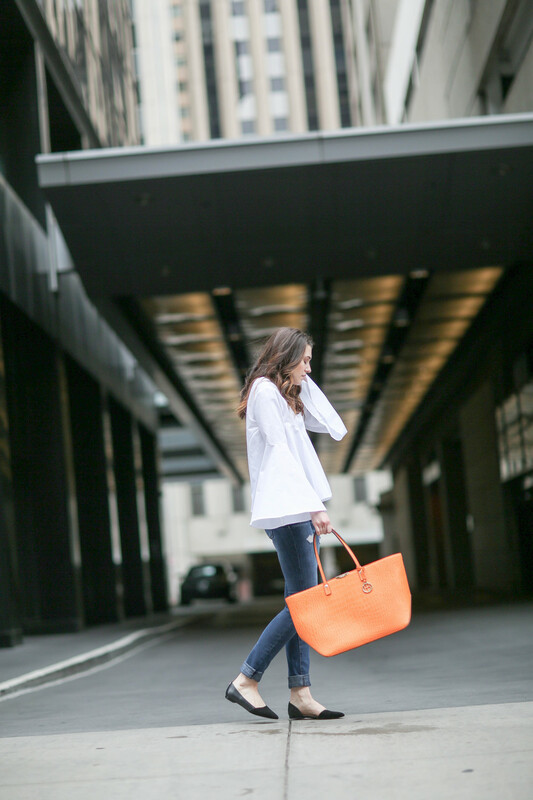 Top: Endless Rose, Jeans: Elliott, Bag: Henri Bendel. The bell sleeve and lace trends can go absolutely hand in hand, as seen here in this gorgeous cream lace dress with sleeve detailing. 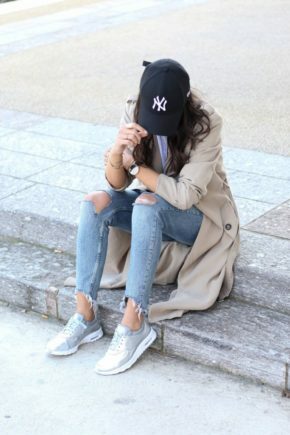 Kayla Seah wears this look with Chelsea boots and a cute black beanie. Dress: Free People, Boots: Acne, Bag: Gucci, Beanie: Halogen. 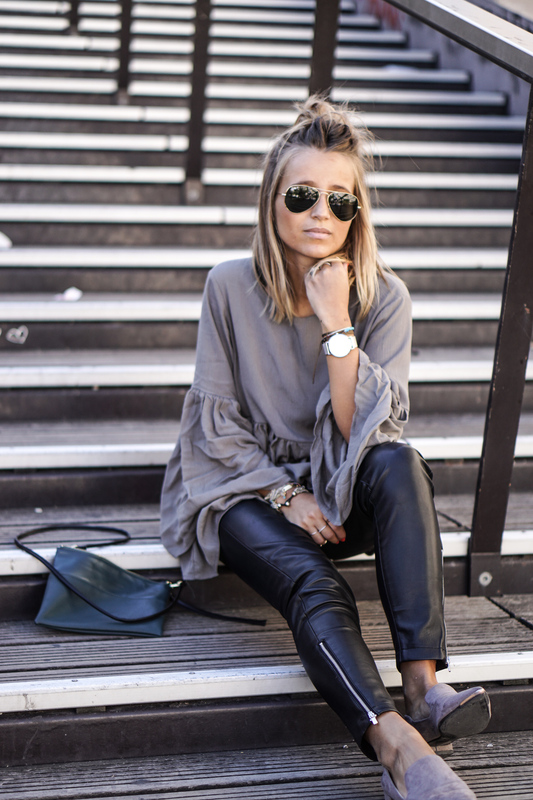 Molly Rustas wears a simple but sophisticated bell-sleeved black tunic with a cute pair of over the knee boots. This grey bell sleeved top looks ultra chic with tight leather trousers. Via Camille Callen. Try wearing a bell sleeved black playsuit with a stylish hat and heels. Via Bambisarmoire.com. Playsuit: Brandy & Melville, Heels: Steven Madden.